If you want to play Sunset Overdrive, the only way to do so currently is with an Xbox One. There were some rumors early on about a PC version of the game, though those have sort of dried up. A quote from one of the developers on the project has further pushed those rumors away. VideoGamer, provider of the great video you see above, spoke with Insomniac Games Marketing Boss James Stevenson at a recent Microsoft event about the potential for a PC version of the game. "I don't know what the future holds…Right now there's no plans for a PC version of the game. We're just working hard to finish up [the Xbox One version]. We're going to support it post-launch and then we'll see what happens in the future. But there's no plans. We aren't planning a PC version or anything like that." Now, just to play devil's advocate here, Ryse: Son of Rome was also an Xbox One exclusive. There was no word of a PC version for that effort this time last year, and yet here we are with a PC release date set for Oct. 10, 2014. Will the same go for Sunset Overdrive? 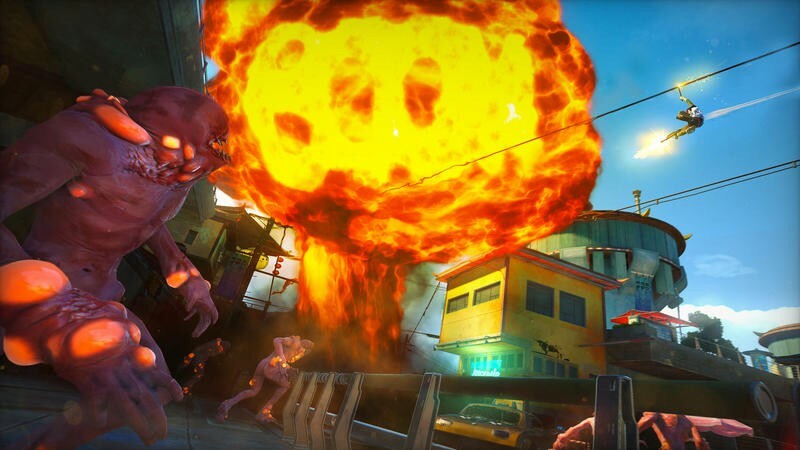 Sunset Overdrive will release exclusively (obviously) for the Xbox One on Oct. 28, 2014. We'll have more on the game in the meantime. If any buzz crops up after release regarding a potential PC version in the works, we'll have that for you too.